Therminator Plate Wort Chiller: Chill 10 gal in 5 min!! I just placed a new recommended product I absolutely needed to share with you. I always started to drewl a bit when I was at my local brew shop and looked at the 3 tier systems they had to offer. But there was always something that was not according to my wishes, to small, not the right brand, not practical and so on. On this site I recommend a lot of products you can buy at the High Gravity webstore, that’s because the products they sell are high quality and have a good price. 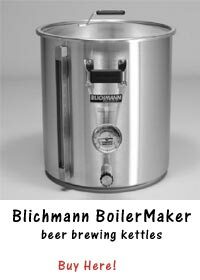 They now have a page where you can build your own home brewery system. You can choose different sizes, different brands and all good quality. And after I talked to a few of my brewing friends and noted their thoughts, I just needed to write a review about it. I really do recommend you to read my latest review and take a look at the High Gravity webstore page where you can build your own 3 tier system. When Is It Time to Consider Kegging Homebrew? It all started in 1295. The king of Bohemia, Wenceslas II, founded the town of Plzeň, and shortly after that, he granted 260 of Plzeň’s burghers the right to brew beer. Initially the burghers brewed the beer in their houses and only in small amounts, but later they formed guilds and founded breweries. In time, however, the economy and culture in Bohemia declined, and this affected the brewing. Ignoring the approved technology and using their own recipes, the brewers often produced a distasteful brew that was not worthy to be called beer. At that time, two types of beer were produced in Europe. Top-fermented beer was brewed, especially in Bohemia, while a bottom-fermented beer, of far better quality, was popular mainly in Bavaria. There was a huge gulf between the Bavarian lagers and the Plzeň beers. An important turning point came in 1839. About 200 of Plzeň’s burghers decided to do something about the situation. They founded the Burgess Brewery, where only bottom-fermented, or Bavarian-style beer, was to be brewed. The famous brewer Josef Groll was called in from Bavaria. He immediately set to work to produce a typical Bavarian beer. The result was very different—but also far better than he had anticipated. Groll’s experience coupled with fine local raw materials helped to produce a beer that took the world by storm. Pilsner is only one particular recipe that has been produced for making beer. There are other recipes of beer making that you yourself could enjoy. 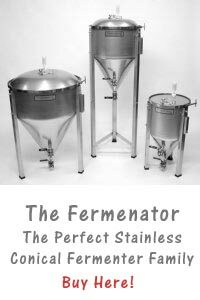 Through searching through special reading materials, home brewing recipe choices come in different types that best fit your resources and your taste as well. The best home brewing recipe choices come from different sources. Some are from the Internet posted by those who have already tried and tested the home brewing recipe lists that they are suggesting. You could even create your own home brewing recipe with the help of the home brewing software programs available in the market today.